Delve into the extraordinary abilities of the twelve-year-old mind in this thrilling start to a middle-grade series that expands the possibilities of power. No one has any confidence in twelve-year-old Christopher Lane. His teachers discount him as a liar and a thief, and his mom doesn’t have the energy to deal with him. But a mysterious visit from the Ministry of Education indicates that Chris might have some potential after all: He is invited to attend the prestigious Myers Holt Academy. But all this experimentation has consequences, and Chris soon finds himself forced to face them—or his new life will be over before it can begin. I am a total sucker for middle grade novels about special schools and kids with powers. Perhaps it’s because I grew up reading Harry Potter, and am still on the hunt for that elusive book that will mean as much to me, though I know that will likely not happen, because I’m an adult now and less able to appreciate the magic. Still, for all that I’m not likely to find something as amazing as Harry Potter is, my middle grade choices have yet to fail me. The Ability is a darker-than-usual middle grade novel with humor and action aplenty. The main hero of The Ability is young Christopher Lane, just turning twelve years old and at wit’s end for how to take care of himself and his mother, ruined by the death of his father. Like so many scrappy heroes, everything falls to Chris. He struggles in school, marked as a troublemaker and is finally expelled for a weird incident where he somehow beats up a bully without touching him. But, thankfully, salvation comes in the form of a test to study at an elite, strange prep school, Myers Holt Academy, which Chris passes with flying colors. After his test, the proctor presents him with a surprise birthday cake. Note: Chris is not a wizard. 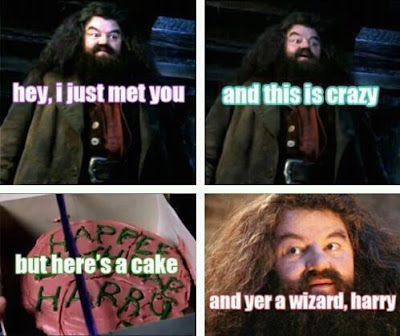 Now, there are certainly a few shades of Harry Potter obviously, like the cake, but The Ability does not read like a retelling. What’s most similar is actually the tone, more than the story itself. Harry Potter begins as a fairly light story for children, but then becomes progressively darker as the children age. The Ability is not a kid’s book and I would recommend it for the upper end of the middle grade age group. There’s some death and injury, and some ethical lines that get crossed. I really liked how dark this was, and that there are shades of gray to the characters. The bad guys aren’t just evil; they have backgrounds that explain how they became the way they are. Similarly, the children and their teachers are flawed and imperfect. There’s a lot of humor in The Ability too. Most of the funny moments center around Rex, definitely the least likable of the six kids in this class at Myers Holt Academy. However, just like the other five students, the readers can’t help but be glad that Rex is there, because he’s so funny, both accidentally and on purpose, even if many of his jokes are rather mean-spirited. There are also some more standard middle grade jokes, like food fights and that sort of thing. The funniest moment for me, though, was this scene where Chris is sent to a fancy department store to buy some new clothes and the salesman is all snooty telling him to get his grubby hands out of his department, until a manager comes and tells him who Chris is. I wanted him to storm out while saying this. Anyway, the powers that the kids have are also really cool. See, Myers Holt Academy, as one expects, is totally not a normal school. In fact, they train kids to work for the government in the super secret branch MI18. In this world, twelve-year-olds have unique abilities, where they can use a larger portion of their brains. What’s really cool and unique is that these powers only manifest for a single year, though any information learned during this period will be retained for life. Basically, these kids are selected because they have more potential, but all kids age 12 have increased capacity. At Myers Holt Academy, they learn telekinesis, distance viewing, and mind reading/control. This is both cool and terrifying because I would not want children to have that much power, which is also why Sir Bentley, the head of the school, gives them lectures about using their power responsibly all the time. Speaking of how terrifying kids with powers are, the kids they are fighting are so creepy. They’re these twins who will stop at nothing to please their crazy step-mother. Yet, as evil as they are, you sort of get how they got that way and it’s just sad all around, but they do need to be stopped. Vaughan does a great job setting up the bad guys and not making them laughable like so many middle grade villains are, because they don’t run around spouting monologues about their evil plans. The only drawback to The Ability is that the opening chapters are a bit confusing, because you’re immediately introduced to a whole bunch of characters, and it takes a while to sort out who’s who and how everything connects. The first chapter takes place 30 years before the rest of the book, and is important set up, and it’s followed by a few chapters in which it’s hard to tell which kid the narrative will primarily be following. This does get sorted out, but the beginning was a bit rough. Aside from that, though the kids themselves did have nice individual arcs, I would have liked a bit more focus on the friendships between the kids. The Ability is a great read for more mature middle graders. It’s a great choice for those who enjoyed Trenton Lee Stewart’s The Mysterious Benedict Society, as well as Harry Potter. I will be looking forward to the next installment! ‘No pain, no gain,’ said Mr. Green, smiling. This sounds like a book I would really like. I do like middle grade books and have been reading more of them lately. Great review. The gifs are awesome. And that Hagrid pic had me laughing. Thanks! I knew exactly what images I wanted in this review and it was awesome. Nice! I was randomly handed THE ABILITY and wasn’t totally sure about it. Yours is the first review I’ve seen and it sounds like I should definitely go for it. I love a good, fun read! Yeah, I’ve not seen any other reviews for this one. Not sure what’s up with that. I suspect S&S may have slacked on the marketing for this title. I love the pictures you put on they are great haha. Sounds really interesting. Will keep an eye out for it. I so dig this cover! And your review. This book sounds like a quick, fun read. I hadn’t heard of this before, but I do like the occasional MG–especially when they are a little darker. And I’m such a sucker for prep, boarding, special schools. I’ll have to check this one out. And I love the cover. Great review! How did I not know about this book??? Ok wait.. what’s the Bechdel Test? Is this something new I’ve been missing on your reviews? lol. Oh, that was a thing I was considering adding, but I don’t pay enough attention when I’m reading to do it, I don’t think. The Bechdel test is if two women talk to each other about something besides men. It’s a feminism thing. Maybe I’ll get Doll Bones from the library some day. For some reason, there’s been almost no buzz for this book.